Several months ago, I had this weird, quirky idea that involved going back to my hometown and donating a couple of books to The Library. Not just any library but the one and only place where I borrowed books, the place that used my first ever library card when I was I barely old enough to hold a book, back when I struggled with my dyslexia to learn how to read. My hometown has always been small, but when I was growing up back in the 1960’s it seemed like a huge place despite its population of around 1500. In retrospect, I kind of think they may have counted pets to arrive at that number. Superficially, the town has not changed all that much since I lived near there. I grew up on a farm outside of town. Its population is around 1700 now, so it hasn’t grown much in the intervening decades. Shoemaker’s Grocery Store is still where it was when I left town 44 years ago. However, the building that once housed The Sentinel, the town’s newspaper that struggled for years to stay in business when I was young, has become the Purple Monkey Pizza Parlor. My publicist and I shared a pie there. On the drive into town we passed The Polar Bar, a soft Serve Ice cream stand on the north side of town. It is still in business and looks exactly as it did when I was seven or eight years old and stood in line with my sisters on hot summer afternoons waiting for our turn to have cones filled with creamy vanilla and dipped in chocolate, strawberry or butterscotch hard-shell coating. I’m not sure whether it’s creepy or not that the place is still in business. In a way, it as welcoming and reassuring, an indication that some things from the past have not changed. The subtle changes have turned South Charleston into a charming stop for anyone interested in visiting a small Midwestern town replete with small shops to explore, provided you aren’t on a hectic schedule. Although The Houston Library of South Charleston, Ohio may seem a bit odd, it was named for someone who contributed to its founding. I didn’t know that when I was young. Heck, I didn’t even know why the town was called South Charleston. After all, that implies there is a Charleston somewhere about or even a North Charleston, but there neither. As an author, I figured it was a no-brainer, going to the place partially responsible for my acquired love of books. It was one of the reasons I sought higher education and eventually left the town to pursue my dreams. I was going there to hand deliver a couple of my books as donations to the collection. And in the next few years, as my publisher transforms my other manuscripts into books, I would return to make more donations…maybe even schedule a reading. Other than my relatives who still live in the area, I’m pretty sure no one who lives in present day South Charleston knows me. It’s not like I’m a world-famous, though I have a growing following. Having a couple of books published is no small feat. Despite it being easier now than ever to publish a book, how many people from my old home town have done it? I don’t have the answer to that. I know of only two. After Googling the subject for confirmation, it appears that my old hometown is not deep it its literary tradition. Other than me, there is Edgar V. Barmann, whose novel, DEAR ANNAMELIA, which is set in and around nearby Jamestown Ohio, was published in 2008, shortly before he passed away. Before that, I had the good fortune to connect with him via phone to discuss his book and his memories of South Charleston. For the record, I own a print copy of his book, which I read and posted a review for it on Amazon. He told me his goal in writing the book was immortalize the sense of community he felt as a youth. The reason for my interest in the book was based on its title; I knew the lady named Annamelia. After leaving South Charleston, Mr. Barmann spent many years working within the Catholic community throughout Ohio, but at as a youth, he lived across Chillicothe Street (SR41) from Annamelia. How I know her is that, many years later, my father operated her farms. Barmann also knew my godfather, who was my father’s attorney. What I expected from visiting my hometown library and reality differed greatly. To be fair to the librarians, I showed up unannounced a couple of hours before closing time. Of course, neither had ever heard of me or my publicist. Still, their response to my offer of the books was, at best, lukewarm. They explained politely, if stiffly, that they couldn’t guarantee anything about getting my books placed on their shelves, that they might wind up in another branch library of the Clark County Library, or (most likely, I inferred) they would be sold at auction. By the way, that is the standard response every library gives to anyone who donates books. I’ve visited several libraries over the years and in nearly all cases my books ended up on the shelves. So, this wasn’t my first time. Libraries have some latitude about accepting books, especially any of local interest. Their major concern is borrowing rates. If I could deliver, through social media, a significant number of my relatives, friends and such who still live in that area, the books would produce results. My books are in the Library of Congress and are available through multiple distributors, like Ingram, which is one that libraries use for their orders. But, I was not asking them to buy my books, just evaluate them. I figured orders might come for other branches of the Clark County Library system as the borrow rates on my books would dictate. You would think that the librarians, who were maybe old enough to be my daughters, might have liked to hear sometime about the history of their town from someone who spent the first 18 years of his life hanging out around their small burg. For example, the annual Petunia Festival began as a Memorial Day parade and carnival that was shifted to one week later and renamed around the time I was in the second grade. Or that I was in the first graduating class of eight graders to attend Miami View Elementary School, and I participated in the competition for selecting the school colors (red, white and blue), mascot (The Patriots) and the school’s name (because a branch of the Little Miami River flows behind the school). But no, the librarians treated me as I have become accustomed, though mainly in bookstores, as if I was just another self-published author pedaling his or her books, as if the same stigma applies to us as used to haunt authors who used ego-presses before the digital age. 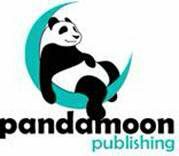 We never got to the point of discussing much about my publisher, a small press out of Austin, Texas, or any of the other dozens of great books by fantastic, if yet relatively obscure, authors. Frankly, all I wanted was for other people who grow up in my old hometown to have the chance to read the books I wrote and understand the importance of following dreams, a major theme of my writing. People who live in small towns need to know that they don’t have to live there forever, but it that’s what they choose to do, that’s all right, too.